(Middletown, CT) Chairman Gregory Shook of the Middlesex County Chamber of Commerce has announced the 2017 recipients of the chamber’s Distinguished Citizen Award. Each year, the chamber presents this award to individuals who serve as an inspiration to others, and are recognized by the Middlesex community as unselfishly giving his or her time and talent to produce a lasting benefit to the area. The Distinguished Citizen Committee chose the recipients from a list of over 230 nominees. The 2017 Distinguished Citizen Award recipients will be honored at the Middlesex County Chamber of Commerce 2017 Annual Awards Dinner to be held on Thursday, June 7, 2017 from 5:30 p.m. to 9 p.m. at the Radisson Hotel in Cromwell. Bill and Sharon Griffin established the Peach Pit Foundation in 2004, an independent foundation the couple started to have a positive impact on their community. The Foundation seeks to help working people who need a leg up in life. 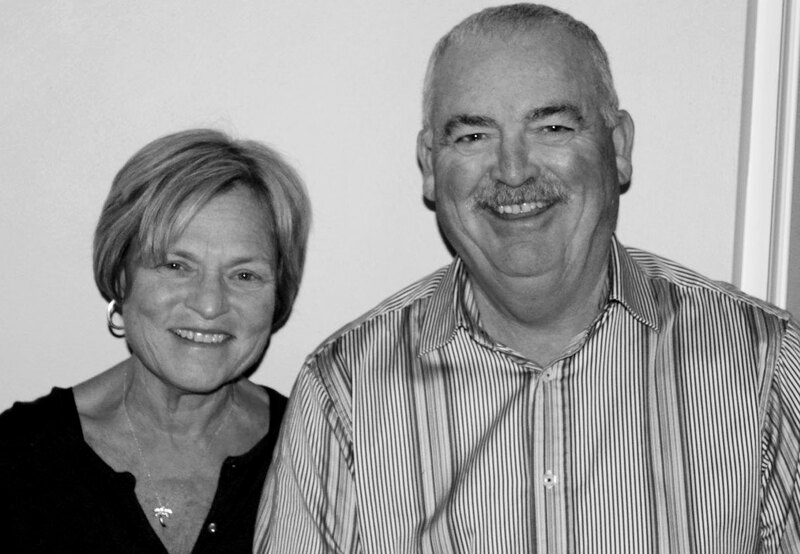 The Griffins were blessed with opportunities and success and wanted to give back when they were both healthy and able to actively participate in the outcomes of their philanthropy. The Peach Pit Foundation fosters the development of working families and individuals who need a little boost of assistance in life whether it be childcare, education or mental health counseling. Working with the Community Foundation of Middlesex County they have directed activities in providing grants for many local initiatives including Middlesex Community College, Middlesex County United Way, The Middlesex YMCA, The Middlesex County Chamber of Commerce’s Summer Youth Employment Program, and Middlesex Habitat for Humanity of CT. Keeping with their commitment to actively participate in their charitable giving, they sponsored a house for a family on Liberty Street through Habitat for Humanity, which the Griffins found an especially rewarding experience due to the security that the home was able to provide to that family. Sharon Griffin was born in Hartford and was raised in Middletown and Cromwell and went to Mercy High School. Sharon attended Lesley College and Southern Connecticut State University for Special Education later teaching at private state agencies and residential education. Bill Griffin was born in Boston and raised in Meriden attending Xavier High School playing Football for Coach Larry McHugh. Bill attended Fairfield University and started his career in construction management at C.N. Flagg Company. He has served as President of CNF Industries, a full-service contractor in the power industry. In 1997 Bill founded Gemma Power Systems with business partner Joel Canino as an Engineering, Procurement and Construction company serving the power industry. Gemma has seen exceptional growth from a small New England-focused construction company to one that has a broad geographic reach throughout the United States with more than 180 staff employees. Gemma was named a best workplace for multiple years by The Hartford Courant and has received recognition for employing a workforce made of over 20 percent veterans. Gemma was acquired by Argan, Inc. (AGX) in 2006. Bill remains CEO of Gemma and serves on Argan’s board of directors. The Peach Pit Foundation received the Middlesex YMCA’s Youth Development Community Impact Award in 2015, Middlesex Community College Donor Recognition Award in 2016 and The Community Foundation of Middlesex County’s Local Leaders, Local Legends, Unsung Hero Award. Sharon serves on the Community Foundation of Middlesex County board, the Family Selection Committee for Middlesex Habitat for Humanity of CT and grants committee of Coginchaug Valley Education Foundation. Bill and Sharon Griffin were married in 1977 and live in Durham. They have two children Jessica Griffin Scheff, 33 and Will Griffin, 28. Their children are also involved in their philanthropy as the Griffins want to emphasize that philanthropy is a learned behavior. When not giving back to the community, the Griffins enjoy traveling to warm climates, reading, sports, music, food & wine and spending quality time with their two grandchildren. 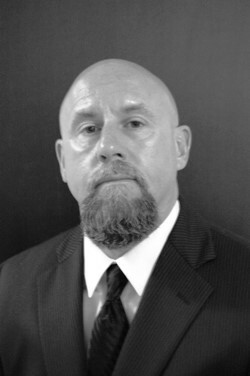 Ken currently serves as a consultant for Value Concepts Company. Ken is on the Middlesex County Chamber’s Board of Directors and served as the Chamber’s Chairman from 2008 to 2009. Ken was a member of the Board of Directors of the Connecticut Business and Industry Association (CBIA). He also serves as a member of The Old Guard which raises money for charitable groups like the Salvation Army and The YMCA. Ken has been married 59 years to his wife Mary and they have 3 children Bruce, Craig, and Cynthia. When not volunteering or with his Family, Ken enjoys travel, gardening, fishing, reading and listening to music. Phil Ouellette is a co-owner and permittee of Eli Cannon’s Tap Room in Middletown, CT. Boasting 24 years of great beers, Eli Cannon’s Tap Room has been a staple of the NoRA district (previously known as the North End) since 1994. The acronym NoRA was coined by Phil at the time of opening NoRA Cupcake Company with his partner Carrie Carella in 2012. 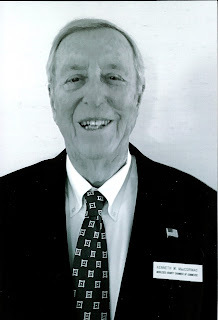 Prior to establishing Eli Cannon’s Tap Room, Phil spent 10 years in the hospitality business and after establishing Eli Cannon’s was also on the Board of Directors for the Connecticut Restaurant Association and was a member of their Legislative Committee. Phil is currently an active member of the Middlesex Chamber Board of Directors, has held the position of Central Business Bureau Chairman and served as Chair of the Middlesex Community College Red Moon Fest. Phil has also been recognized by the Mayor of Middletown with the City of Middletown Mayor’s Corporate Citizenship Award and the Middletown Design Award for his work within the Middletown Community; and has been awarded Certificates of Recognition by both Governor Dannel P. Malloy and Senator Blumenthal for his dedication and commitment to the City of Middletown. Eli Cannon’s was presented with the Business of the Year Award in 2015. In keeping with his philosophy “It’s not about us, it’s about all of us” Phil finds time to give back to the community that has helped to make his businesses successful. By hosting an annual Beer Fest, Eli Cannon’s has raised over $16,000 between 2015 & 2016 for the Coalition on Housing and Homelessness. Phil is an enthusiastic participant in the Hal Kaplan Middletown Mentoring Program, contributes to Oddfellows Playhouse, and has established the much talked about final destination for the Holiday on Main Tree Lighting Ceremonies - where without fail it snows every year! Phil’s involvement in the community also extends beyond Middletown, where he has spent a number of years coaching youth wrestling and lacrosse in Madison. Phil is married to his wife Gwen, who works in Pharmaceutical Research and is a proud Dad to daughter Corinne who is a 2-sport student-athlete in her sophomore year at Clark University, studying Child Psychology. For more information on the 2017 Annual Awards Dinner, please contact Johanna Bond at Johanna@middlesexchamber.com or 860-347-6924.